Klepierre said in March that it had made a takeover approach to Hammerson, valuing it at €4.9bn. But Hammerson had rejected the approach, calling it "wholly inadequate and entirely opportunistic".Klepierre said that its chairman Jean-Marc Jestin held a meeting with Hammerson's David Tyler on Monday to table a €5.04bn proposal worth 635p per share.This was an increase from Klepierre's initial 615p cash and shares bid, which was worth €4.88bn.It also represented a premium of 45% on Hammerson's share price in March before it was approached by the French company.Mr Tyler said Hammerson's board had considered the revised proposal "carefully".But he added: "At 635p, it is only a 3% increase on the previous proposal and continues very significantly to undervalue the company. 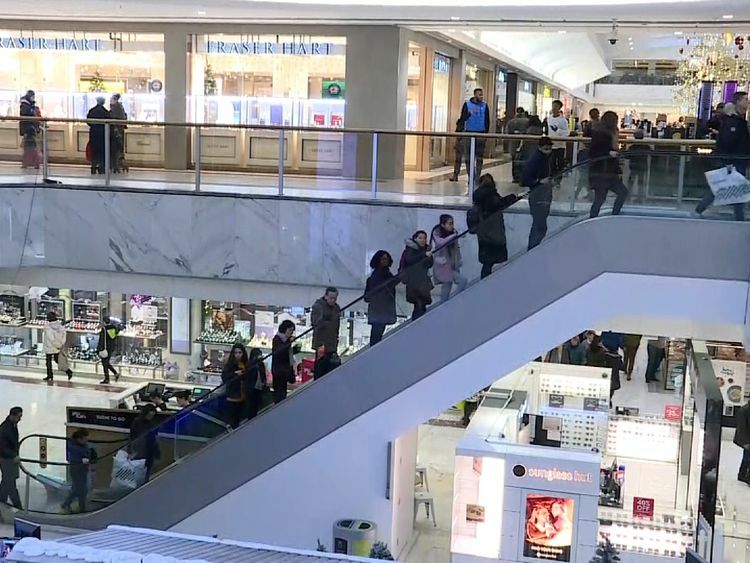 "In a stock exchange announcement on Friday, Klepierre said: "The board of Hammerson did not provide any meaningful engagement with respect to the increased proposal and, after careful consideration, Klepierre has concluded that it does not intend to make an offer for Hammerson." Hammerson owns the Bullring and Grand Central centres in Birmingham, Cabot Circus in Bristol, Centrale in Croydon and the UK's first shopping centre, Brent Cross, in north London.Its shares were down 12% in early Friday trading, while Klepierre's were up slightly.Klepierre's approach in March had disrupted Hammerson's pursuit of its smaller rival Intu, which operates the Trafford Centre in Manchester.This bid is now expected to go ahead and it would create Britain's largest property company, with €21bn of assets.David Brockton, analyst at Liberum, said: "Klepierre's decision to walk away from a bid could still leave Hammerson's management and shareholders in an unfortunate short-term position. "The market has clearly taken a negative view of Hammerson's proposed acquisition of Intu. "However, if the Intu deal does not complete, it would be a rejection of management's vision. "It will take some doing for the shares to achieve Klepierre's 635p second proposal in the near-term."